Most, but not all, of the Carl Dreadstone books are by Campbell. The authors of the others are unknown. Ramsey Campbell's book A Book of Horrors was available from LibraryThing Early Reviewers. Ramsey Campbell's book Shadow Show was available from LibraryThing Early Reviewers. Ramsey Campbell's book Visitants: Stories of Fallen Angels and Heavenly Hosts was available from LibraryThing Early Reviewers. Ramsey Campbell is currently considered a "single author." If one or more works are by a distinct, homonymous authors, go ahead and split the author. 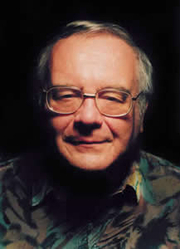 Ramsey Campbell is composed of 13 names. You can examine and separate out names.